Will there be a war between David and Goliath? 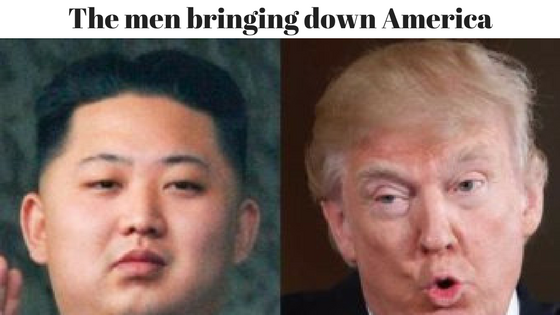 The situation between the USA and North Korea raises a lot of issues for consideration. The actual threat of a war is very small, for whilst North Korea might bloody the nose of the US, it would result in them being set back many years as their country is razed through bombing. The leader of North Korea has little to gain from that. Whilst refusing to back down to the US, his position is, at this stage, largely posturing. Were North Korea serious about attacking the US, their better method would be technologically, stalling the work of companies and Government Institutions alike. The economic effects of this would be dramatic and cannot be ruled out as a real threat. North Korea’s position does have a direct and immediate effect on countries in the region, particularly Japan, who need to remain strong and grow in their capacity to meet and overcome the threat. This augers well for their economy, but not the state of mind of the people. It also affects Australia, causing an upturn in the focus on defense capability and spending, which will affect budgets for years to come. It also continues to put a focus on mining the raw materials for defense products. The US is more intriguing. Their President has talked tough and with little tolerance towards all forms of minorities (as distinct from the major powers) as he externalises his focus to compensate for his lack of ability internally to change what he wants internally. The outcome of his methodology is that he is giving an imprimatur or license to intolerance within his country, which is reflecting itself in civil disturbance as we speak (Charlottesville). In time this lack of internal cohesiveness will cause an economic downturn. Largely the citizens of the US, like the world at large, are accepting that their President is a one term President and are outlasting him. The outcome of this is that his power is neutered internally and externally, which will, in turn, slow the economic growth of the US. The real clues as to what this all means do not lie in the hyperbole, but in the more subtle text. The US President is garnering favor with the likes of China and Russia. Apart from the fact that he sees them as equals, he is telling the world that this is where the power lies and they will continue to drive the economy of the world, let alone world policy. Therefore, economically, we can expect to see continued economic dominance from China and continued growth from Russia. It also means we can expect that they will have a larger say in world affairs and policies. The price of this will be those countries who they are effectively trying to take over, for both countries are expansionary. In this Region is does not auger well for the countries in the South China Sea including the Philippines. Were that situation to escalate there is a real chance of seeing India enter the picture and they begin to extend their muscle. Thus the US-North Korea situation is a controlled firestorm at present, with lots of impacts to come from it as it reshapes a lot of future International policies and practices. It does point to who the emerging countries are, but does not give a time line or the actual events which will take place. The bigger problem is that it continues to show that man believes that he shapes the future and it discounts the economic and emotional effects of natural disasters which continue unabated and largely underreported. What we can draw from all of this is a long period of uncertainty and world insecurity, as new powers try to assert themselves. Each event and each natural disaster will affect the markets, as will the internal issues within the US. The average person out there has little hope of keeping up with this, let alone being able to predict the effect upon their investments. Brendan is available on 0433 726 888 to discuss how we can assist in how to release you from the worry of investing and get you back to enjoying life. ← The Next Weapon of Global Financial Disaster?